Dr. Kaiji Chen is assistant professor in economics at Emory University and research fellow at the Federal Reserve Bank of Atlanta. His research areas are macroeconomics, and financial economics. 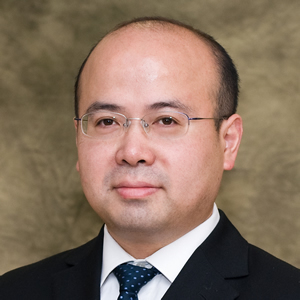 His current research focuses on financial aspects of macroeconomics and government fiscal policies, with a special interest in China’s macroeconomy. Dr. Chen has published in several leading economics journals, including American Economic Review and Journal of Monetary Economics. Dr. Chen’s paper “Trends and Cycles in China’ Macroeconomy” has been published in NBER Macroeconomics Annual, 2015 as the lead article. His paper on “The Great Housing Boom of China” has been cited by the Wall Street Journal. Dr. Chen obtained his Ph.D. from the University of Southern California in 2005. He joined Emory University in September 2010. His previous affiliations include the School of Economics and Finance at the University of Hong Kong and the Department of Economics at the University of Oslo.